E-publishing – playing the Amazon Self-Publishing game | Damian Trasler's Secret Blog - Do Not Read! ← What’s on your e-reader? This entry was posted in Writing and tagged Amazon, Damian Trasler, KDP select, novels, playwright, publishing, Self-publishing, short stories, writing. Bookmark the permalink. 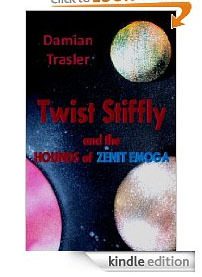 I got the sample for my Kindle and I’m looking forward to getting and reading Twist Stiffly. I’m very intrigued by the story. 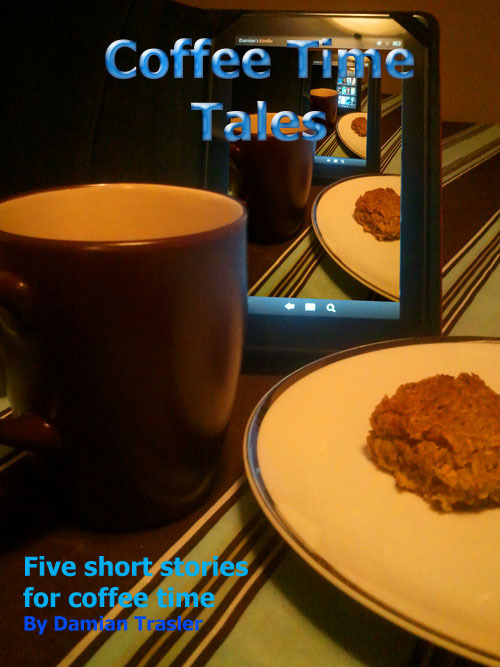 I also got the freebie short stories and will be checking those out, too. It’s awesome you’re getting your work out there for others to enjoy. Thanks Angela – looking forward to seeing what you think of them! I like to think I’m still playing at publishing, using old material to see how the process works and what the uptake is. “Twist Stiffly” has had sales in the low single digits, but offering the other collection free has resulted in 150 copies being downloaded in two days. I’ve only pushed it on G+, Facebook and here… Whether those readers would come back and pay another $0.99 for another five stories – well, that’s a post for another day! Pingback: How things change. | Damian Trasler's Secret Blog - Do Not Read!